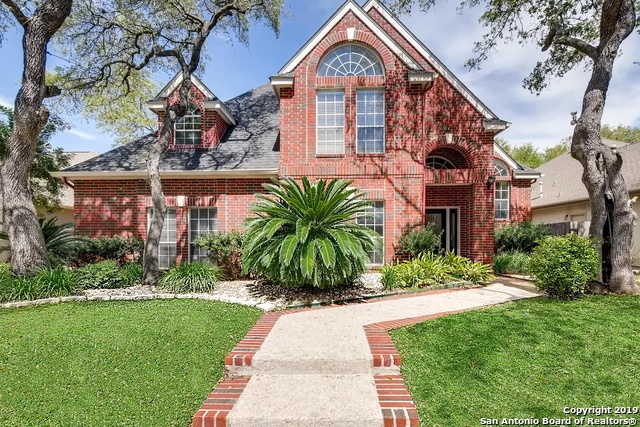 All WOODS OF DEERFIELD homes currently listed for sale in San Antonio as of 04/22/2019 are shown below. You can change the search criteria at any time by pressing the 'Change Search' button below. "This gracefully proportioned home merges the best of classic architecture with modern airy interiors. The effortless open floor plan features a sumptuous master suite on the first floor with private backyard access. In addition to 4 bedrooms and 3.5 bathrooms, the 2 living areas make for luxe & comfortable accommodations. Eye-catching granite counters, delightful backsplash & double ovens truly make this kitchen the heart of the home. Covered patio space & mature trees provide ample shade for re"